In August I taught the French Patisserie class at CEC Wellington for the fourth time this year. It has been a resounding success and fills to capacity each time. The programme is run in four 3 hour sessions, beginning with breads and doughs and ending with macarons and congolais. 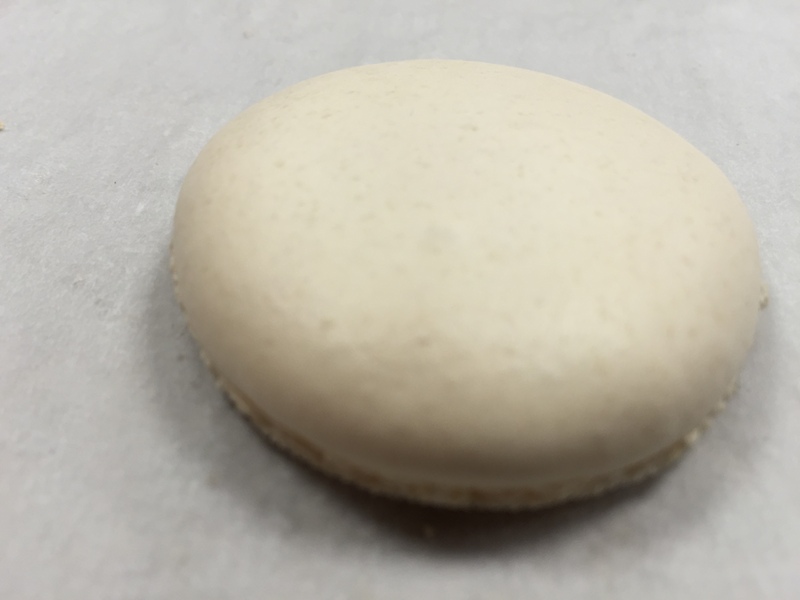 I have included a recipe for Italian Macarons for you to try at home. If you fancy flavouring them (I have only included a plain macaron recipe) use freeze dried fruit powders to colour and flavour the base recipe, add it in with the dry ingredients when you blitz them in the food processor. Some ideas for flavourings that I’d consider would be, lemon or lime and basil, plum, pumpkin and caramel, beetroot and chocolate (when you make the butter almond filling just replace some butter weight for weight with some dark chocolate, melt it first in a double boiler or on a low heat in the microwave), raspberry, mint, a myriad of flavour combinations can be created, it’s entirely up to you! Combine almonds and icing sugar in a food processor. Grind to a fine powder, sift through a medium sieve into a medium bowl. Combine water and granulated sugar in a medium heavy saucepan and stir over a medium heat until the sugar dissolves. Bring to a boil, washing down the sides of the pan with a wet pastry brush. Cook sugar mixture until the temperature reaches 118° to 119°C. Weigh half the egg whites out and put in a mixing bowl in a stand mixer with a whisk attachment. Just before the sugar is ready whisk the whites to a soft peak. Carefully pour the hot syrup down the side of the bowl and whip until the meringue cools to room temperature, about 10 mins. Pour the remaining egg whites into the almonds and icing sugar, beat with a wooden spoon. The paste should be thick. The meringue should be shiny and thick and hold a peak. Add ⅓ of the meringue to the almond paste and beat it in to lighten the paste, then fold in the other half of meringue until mixture is smooth and pourable. Line a baking sheet with baking paper and draw 4cm circles using a biscuit cutter as a template. Place another sheet on top of the template and hold down with paper clips. Spoon the mixture into a piping bag and pipe 4cm rounds onto the baking sheets. 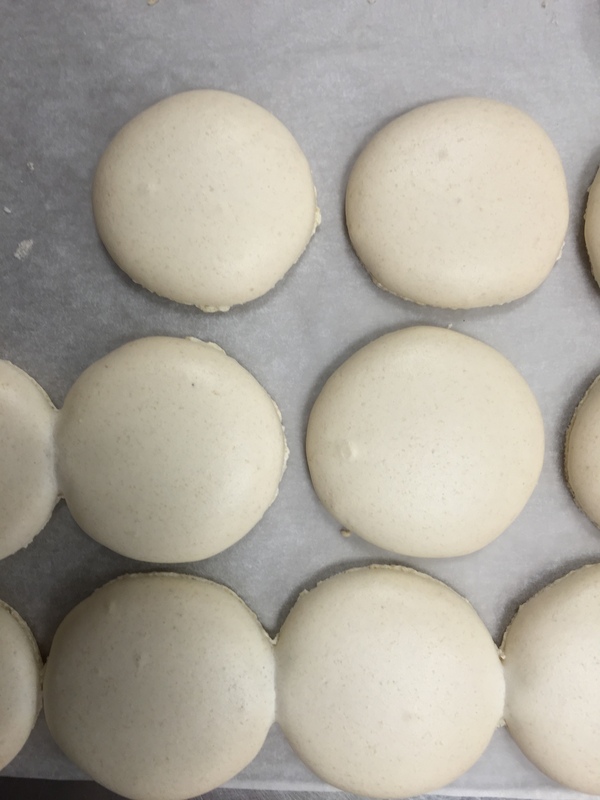 Tap the bottom of the baking sheets with the palm of your hand to smooth the surface of the macarons. Bake for 10-12 mins, rotate halfway through baking. Let cool and then fill with a butter and almond icing. Whisk the butter until light and creamy, add sugar whisk until pale and soft. Add the almonds and and whisk until light and airy. Pour 1/3 sugar into a medium heavey saucepan. Melt over a medium heat, stirring with a wooden spoon. Pour in second 1/3 of sugar and cook, stirring until melted. Stir and melt final 1/3 sugar. Use a pastry brush dipped in water to wash down the sides of the pan. I like to use soft brown sugar as it gives a darker and richer caramel end product. Reduce heat an cook until sugar changes to a medium amber caramel colour. Slowly add cream and stir in. Temperature should be 108°C. Remove from heat and add chilled butter to halt cooking. Pour into a bowl and chill until thick.